Goffe Street is one of the oldest roads in New Haven dating to the Colonial Era when it was a route out of town to the northwest. Long since supplanted as the primary way to Westville by Whalley Avenue, Goffe Street still serves an important historic and functional purpose in the City. Named for William Goffe, one of three English regicides along with Edward Whalley and John Dixwell that signed the death warrant for King Charles I, British troops marched down this road during their invasion of New Haven in 1776. Today, Goffe Street connects Broadway to Westville through the Dixwell, and Beaver Hills neighborhoods while passing by public buildings, parks, churches, residences, and neighborhood stores. Goffe Street exits Broadway as the central prong of the fork with Dixwell Avenue to its north and Whalley Avenue to its south. Prior to the Litchfield Turnpike being chartered 1796, the route along what is modern day Goffe and Blake Streets was the primary way to Westville and beyond from the center of New Haven. Today, Goffe Street between Broadway and Sperry Street exists as a 40-foot wide roadway with one travel lane in either direction and on-street parking. Recently, bike sharrows were added to this section of the street. Passing the intersection of Webster Street, Goffe Street widens as it approaches several urban renewal era projects. The Dixwell Fire Station located at 125 Goffe Street was designed by Venturi, Scott Brown and Associates, Inc. and built in 1974 to replace the former building on Dixwell Avenue. Webster Street was redirected around the same time the fire station was built in order to align with Sperry Street and allow easier navigation for fire trucks and through traffic. Towards the west emerge two housing developments, Florence Virtue and St. Martin Townhouses, the former of which backs onto another urban renewal project, the Dixwell Shopping Plaza – a suburban style strip mall that replaced a dense fabric of streets populated by small frame houses, retail stores, professional offices, and neighborhood clubs before meeting the wrecking ball in the mid-20th century (see image above). Surrounded by the Florence Virtue Homes, the experimental Helene Grant School has now been demolished and combined with the nearby Wexler-Grant School in a renovated building. On the Goffe Street site, a citywide Pre-K school named for former District Superintendent Dr. Reginald Mayo is rising. A triangular wedge of green near the corner of Orchard Street marks the remains of the Goffe Street Park, which was once the location of a popular playground for neighborhood children. Here Goffe Street narrows to 36 feet wide with one wide travel lane in each direction and on-street parking along the south side of the street. At County Street, the north side of Goffe Street opens to De Gale Field, a part of the Beaver Ponds Park populated by ball fields, basketball courts, and playground equipment. In the 1950s, Hillhouse High School was moved from the Broadway District to Sherman Parkway and a new modern building was constructed atop a piece of parkland. As the street enters the Beaver Hills neighborhood beyond Carmel and Crescent Street, the road becomes Goffe Terrace. Lined mostly by side yards to the north and single and multi-family houses to the south, this section of Goffe climbs a steep hill before ascending down towards Osborn Street where the roadway terminates. Since large stretches of Goffe Street are lined by parkland and side yards, there is ample room to incorporate dedicated bike lanes along the entire length of Goffe Street from Broadway to Osborn without compromising bus stops or traffic flow. Additionally, investments in multi-modal infrastructure can be a catalyst for further investment in private and public property, which may be relevant for the central stretch of Goffe Street in particular. At 40-feet wide, the lower portion of Goffe Street currently accommodates a travel lane in each direction and on-street parking. This configuration is designed to handle around 15,000 vehicles per day, but only 8,000 vehicles typically use this part of Goffe on a given day. With only one residential building along the north side of the street, on-street parking could be removed from the south side of the street in order to make room for a 5-foot bike line in each direction. This way, residents will still be able to park on the north side of the street, while the street itself will actually be able to handle 16,00o vehicles with the new configuration. Although some street parking will be lost (around a dozen spots), the building at 89 Goffe Street was recently demolished and replaced with a surface parking lot. Furthermore, Yale has begun work on adding another surface parking lot to the wedge of land between Dixwell and Goffe to replace one on Elm Street that will soon be the site of a grad student apartment building. West of Webster Street, residential buildings begin to appear on the south side of the street, while the north side is populated with a school and parks. The Florence Virtue Homes have off-street parking lots for residents, which allows for the removal of the on-street parking lane on the north side of Goffe Street in order to accommodate bike lanes along with narrower travel lanes. 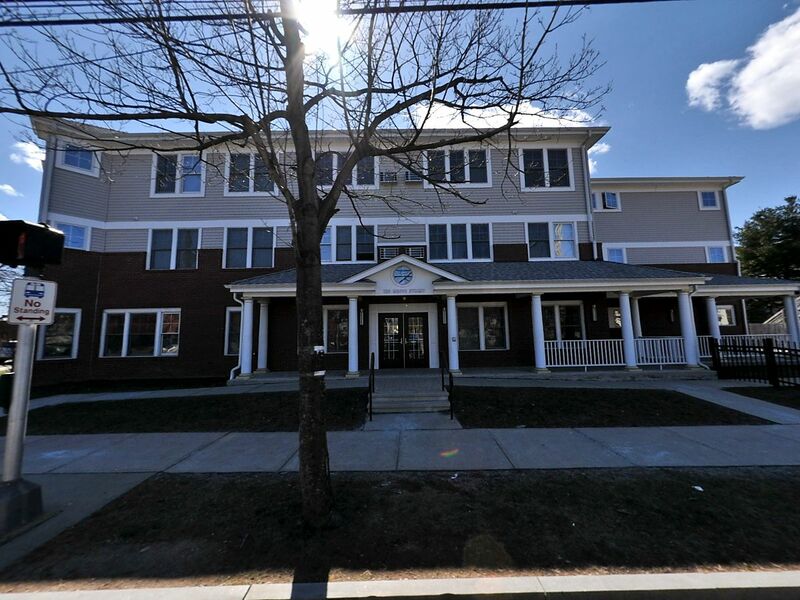 This type of investment might act as a catalyst for further development along the corridor that began with the replacement of a vacant auto body shop at 120 Goffe Street with senior housing developed by St. Luke’s Church in 2007. In Beaver Hills, the north side of Goffe Terrace is lined by side yards and alleys and the on-street parking is rarely, if ever, used. A bike lane in each direction can easily be added to this portion of the street without disrupting residential parking of traffic flow since only 5,600 vehicles use this part of the street per day. Goffe Street is an old and important street in New Haven, and while it is relatively narrow, it is not a heavily traveled street nor is there much demand for on-street parking along the corridor. There is ample room to accommodate one on-street parking lane, one travel lane in each direction, and two 5-foot bike lanes along the entire street of Goffe Street from Broadway to Obsorn Street with minimal impact on parking demand and traffic flow. Investing in multi-modal infrastructure may serve as the impetus for further investment – both private and public – in the area around De Gale Field. Another major project that is already getting started is the former Goffe Street Armory building, which the city has been studying for potential future uses, which may include a community center and art spaces. 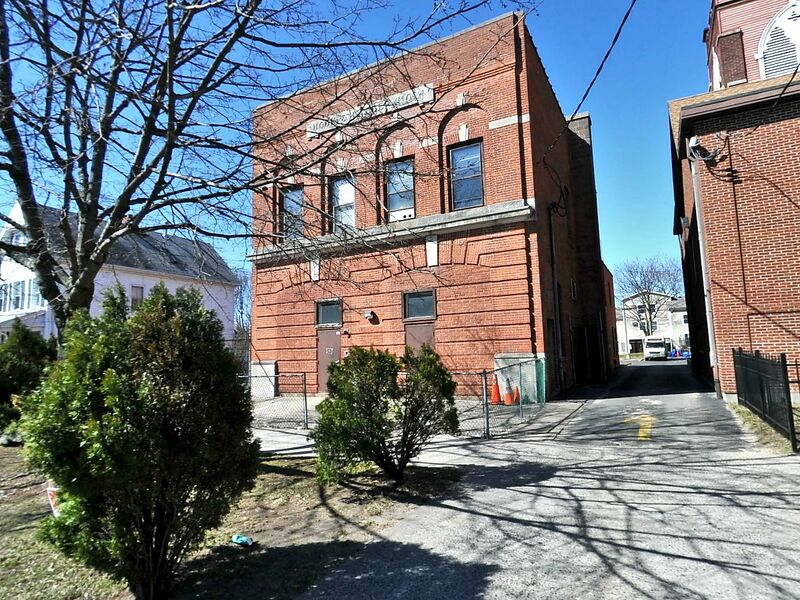 Like Erector Square, the Marlin Building on Willow Street, or Winchester Repeating Arms, the Goffe Street Armory may become another centerpiece for neighborhood revitalization. Currently, De Gale Field is surrounded by several types of fencing, including chain link, wooden post, and metal highway guard rails. 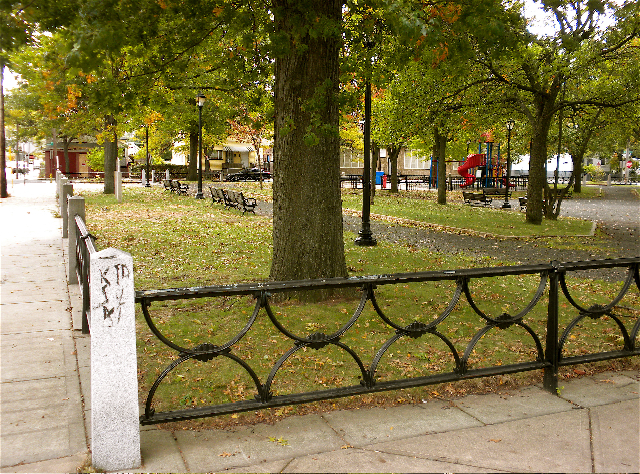 This public playground might be able to learn a thing or two from the Green, Trowbridge Square, and Wooster Square by coordinating elegant fencing around the perimeter of the park to improve aesthetics, unify the parks, and reference other important City parks. The potential of vacant lots, underused buildings, and garages should also be fully realized in the area and developed with apartments, neighborhood stores, and houses. 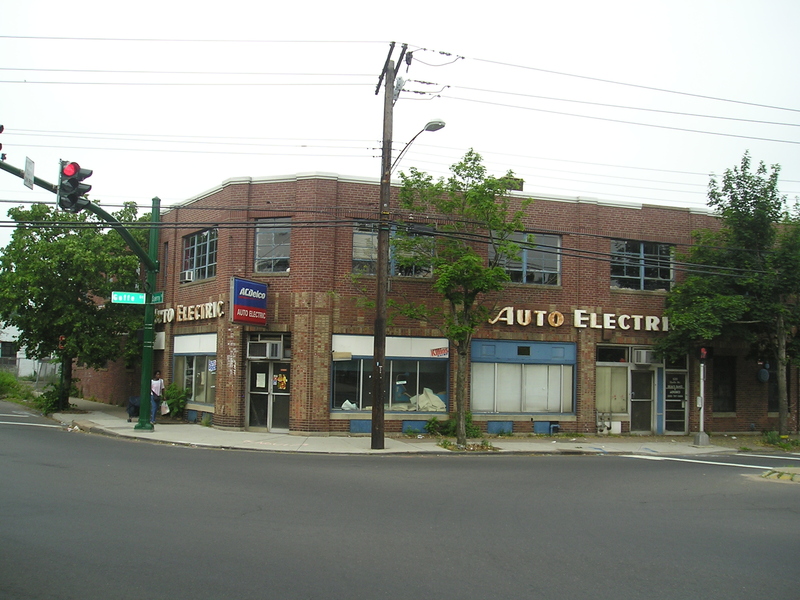 For instance, the garage at 126 Carmel Street could be rebuilt as a two-story building with apartment above a four car garage. Additionally, commercial storefronts at major intersections could improve paving, signage, and outdoor seating in front of their buildings to encourage more foot traffic in the neighborhood in increase demand for things like markets, cafes, and other small eateries that add to the vitality of neighborhoods. At the end of Goffe Terrace, at 145 Blake Street where an abandoned auto body business sits, the lot could be re-imagined as housing of various densities, or mixed-use commercial and residential buildings oriented around pedestrians, with on-street parking, street trees, rear parking, storefronts abutting the sidewalk, and residences above overlooking the street. While bikes lanes can help serve the existing cycling community in the City and possibly encourage new riders with safer, more dedicated infrastructure, multi-modal transportation investments, in general, should be see as one component among many for neighborhood revitalization. A targeted facade improvement program, zoning reform, and public improvements like bike lanes and unified fencing around public land can encourage private investment and increase nearby property values. The Goffe Street corridor, in particular, is ripe for the kind of renewal that was envisioned, but ultimately unrealized, during New Haven’s mid-20th century Urban Renewal program. also revitalize Goffe st. Park it used to be active park with sofball games and basketball tournaments people use to come all over now it is depress park nothing goes on. they do events once in blue moon. when George Blackman was overseeing the park leagues as well as maintaining the park it thrived now it has gown down. only park that still draws huge crowd is chapel st park.